The 2019 benefit year is upon us, and the open enrollment period has already passed in most organizations. Do your employees have access to quality dental care at affordable prices this year? If the answer is no, it’s unfortunate but not surprising. Traditional dental insurance is expensive and, more often than not, group medical plans aren’t including any dental coverage at all. Even if the coverage package your company offers includes an optional add-on dental plan, it’s not surprising if most of your employees don’t take advantage of it due to the out-of-pocket cost involved. However, did you know that it’s possible to offer affordable dental care to all your employees at a fraction of the cost of traditional dental insurance? And, the fact that the 2019 open enrollment period is over doesn’t prevent you from taking advantage of this opportunity! Less expensive to obtain: The membership fee of $9.95 per month (or $109 per year), covers everyone in the household. In comparison, average dental insurance premiums for individuals range between $26 and $45 per month and go up from there to include a spouse and children. Less expensive to use: When comparing total out-of-pocket cost, it’s important to take into account the cost of monthly premiums as well as the impact of copays, coinsurance, deductibles, and benefit maximums. In many cases — especially for families — unlimited access to up to 50 percent off the retail cost of dental services ends up costing less over the course of a year. Easier to use and understand: Insurance plans are notoriously difficult to understand and many families end up not taking full advantage of them for that reason. With a dental discount plan, however, there are no complicated rules, time limits, or prerequisites. Instead, as long as you see a participating provider, you’ll receive your discount every time you see the dentist, no matter what. Of course, it’s not a guarantee that a dental discount plan will outperform dental insurance in all circumstances, and many people find it works well as a supplementary coverage to help reduce the cost of services their insurance plan doesn’t cover or to lower the impact of the deductible period. The reasons above explain why a dental discount plan can be a great alternative (or addition) to traditional dental insurance. But, why is it a good choice as part of your 2019 benefits package? Since the cost is far lower than traditional group insurance, your company’s investment is minimal. Even if you chose not to subsidize the program at all on behalf of your employees, $9.95 per month is a small price to pay for affordable dental care for their entire family. And, if you chose to cover all or part of that membership cost, your employees would see it as an incredibly valuable benefit that sets your company apart from others they could work for. Practically speaking, there’s no open enrollment period required, and no obligation for members to maintain the plan for longer than the membership period they’ve paid for. So, adding it to your benefits package now won’t cost any more or less than any other time, and the flexibility means enrollment is a quick and painless process. In an increasingly competitive employment market, it’s important for companies to do everything they can to attract and retain quality talent. 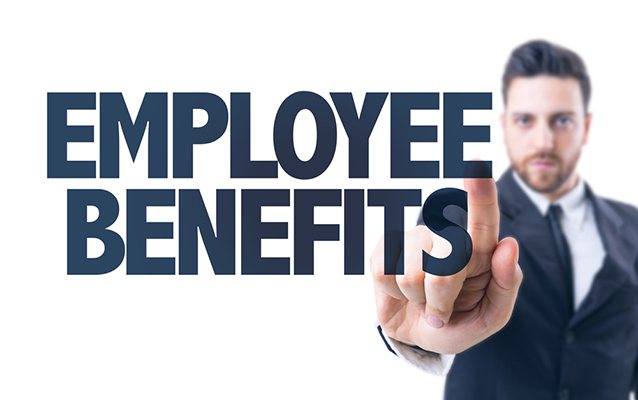 Compensation and benefits are often a deciding factor when it comes to hiring and keeping a quality workforce. So, anything you can do to show your employees greater value without cutting too deeply into profits is a win-win for everyone involved. If you’re interested in offering Dental Solutions to your employees, contact us today.